If form follows function, t he buckled book provides security as well as protection, while the brass accents gleaming softly against dark leather soothe the modern spirit unsated by an inundation of plastic, nylon and polyester. Their reflections hark back to a point in history where books were deliberate, and materials chosen to last. Although there is little historic precedent for a buckled book, these may well have been the traveling books chosen by explorers of land, sea and air if they had been available at the time. They would be selected for their suitability to document incidents, preserve botanical specimens, sketch details and chart progress. Their ability to be buckled on to belts and packs for security while climbing, usefulness in pressing and containing ephemera and durability in all conditions are unprecedented. The buckles, though they make an already weighty object no lighter, functioned at a time where solidity was worth its weight in gold. 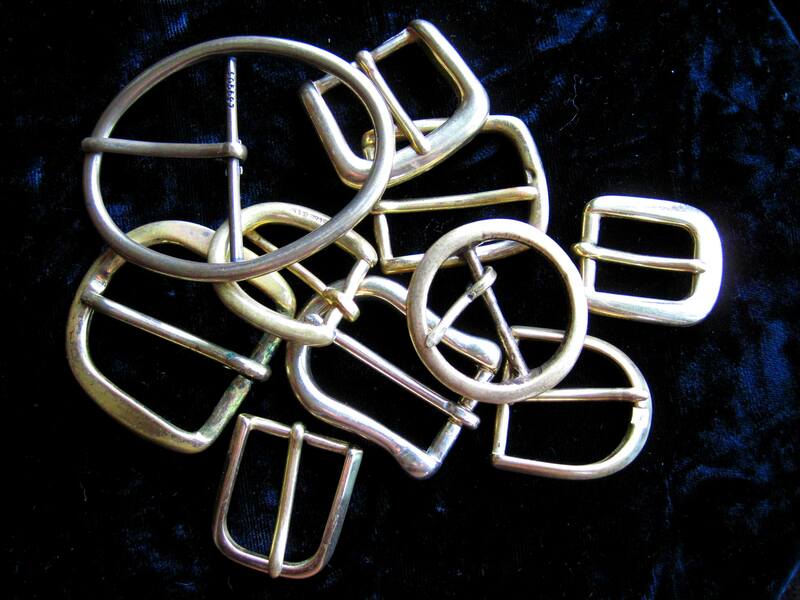 A solid brass buckle will never bend or crack, be smashed by stray rocks or fade in the sun. The worst danger is slight oxidation or greening of the metal, which may be dealt with by occasional polishing when the accompanying leather is treated or dressed with neatsfoot oil or some other leather preparation. 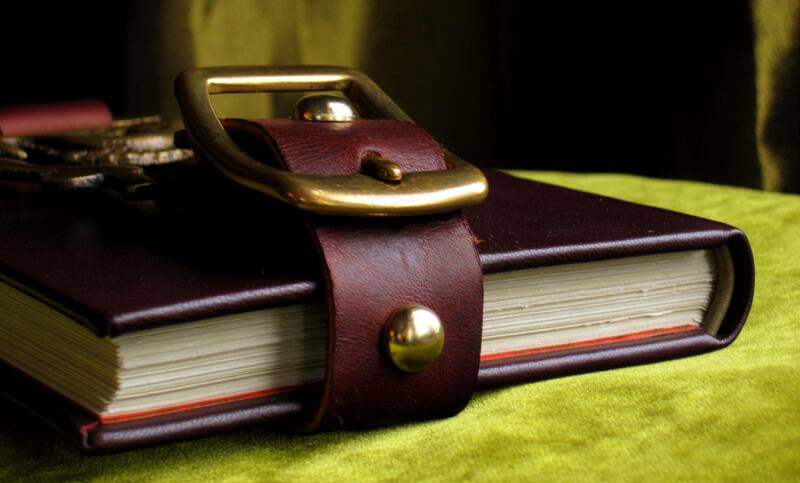 If properly cared for, brass and leather will endure for hundreds of years, and books bound in these materials are no exception.